For their seminal contributions to concepts and methods of creating a genetic map in the human, and of positional cloning, leading to the identification of thousands of human disease genes and ushering in the era of human genetics. 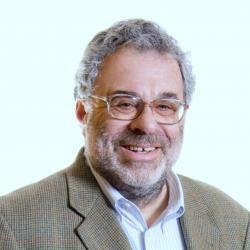 David Botstein, AB ’63, PhD, is the Anthony B. Evnin Professor of Genomics at the Lewis-Sigler Institute for Integrative Genomics at Princeton University. His landmark conceptual breakthrough, published in 1980 together with other collaborators, suggested a way to map human disease genes with DNA polymorphisms, called restriction fragment length polymorphisms. This became a cornerstone of the new science of genomics, which he furthered by co-founding the Saccharomyces Genome Database (with J. Michael Cherry), and applying DNA microarray technology (with Patrick O. Brown) to study genome-wide gene expression, and leveraging this to define subtypes of human tumors. Dr. Botstein contributed to the discovery of transposons in bacteria and helped uncover their physical and genetic properties. He devised genetic methods to study the eukaryotic cytoskeleton in yeast (Saccharomyces cerevisiae). At Princeton, Botstein is leading a team of faculty teaching a new introductory science curriculum that combines biology, physics, chemistry, and computer science. He taught at MIT from 1967 to 1987, was vice president at Genentech from 1987 to 1990, served as chairman of genetics at Stanford from 1990 to 2003, and then served as Director of the Lewis-Sigler Institute at Princeton from 2003 to 2013. He was elected to the National Academy of Sciences in 1981 and the Institute of Medicine in 1993.